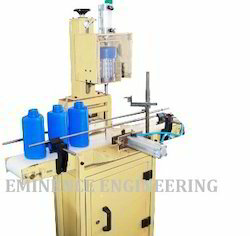 We are a leading Manufacturer of hdpe bottle neck trimming, bottle top face finishing, plastic bottle neck trimming, bottle neck finishing machine, bottle finishing machine and neck grinding machine from Ahmedabad, India. 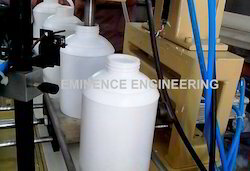 Backed with skilled professionals, we are engaged in offering the best quality HDPE Bottle Neck Trimming. Our offered trimming machine is provided in several stipulations to choose from. This trimming machine is designed using top class components and modern technology under the direction of our skilled personnel. Offered trimming machine is checked on well-defined parameters in order to offer defect range at the clients' end. Machine Provides Execelent top Leap Surface for Induction wed or wad. 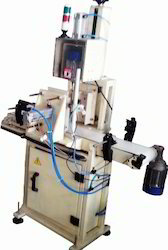 Capitalizing our immense technical expertise, we are engaged in providing Plastic Bottle Neck Trimming. Our offered trimming machine is designed by our workforce using latest technology as per the set industry norms. Also, we also provide our trimming machine in customized solutions as per with customer’s requirements. 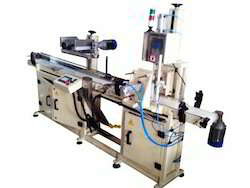 This trimming machine is available from us at market rates. We are a noteworthy organization engaged in offering Neck Finishing Machine. This machine is manufactured by utilizing the optimum quality raw material and leading technology. Our machine is extensively demanded in the market due to its performance. Offered machine is available from us in numerous stipulations to choose from. Owing to our expertise, we are engaged in manufacturing, exporting and supplying a wide assortment of Bottle Quality Improve Machine. Our offered machines are designed using high grade raw material and leading technology in adherence with market norms. Our customers can avail these machines from us in various customized options. Also, we offer our entire range of machines in different specifications. Reduce Rejection of bottles because of bad cutting of neck.